A streetcar loaded with passengers in front of the 7th Avenue Carnegie Public Library. 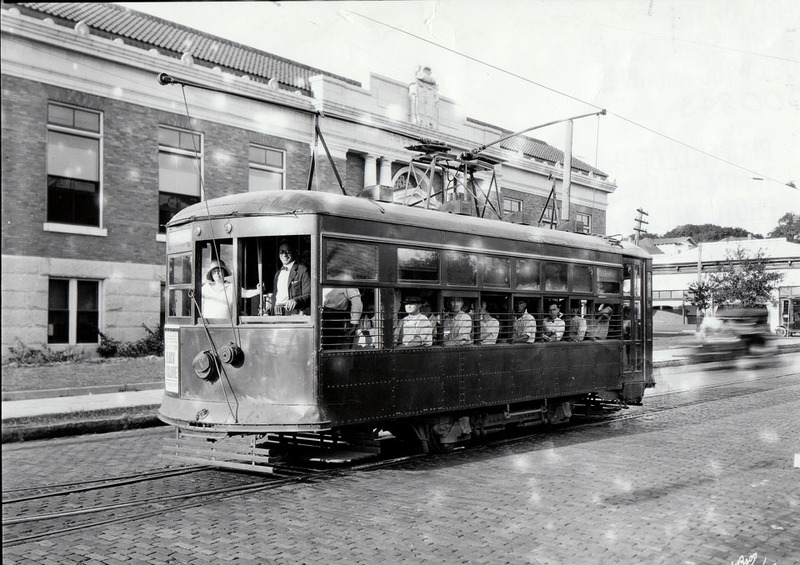 Tampa’s streetcars were in service beginning in 1892 with their peak usage occurring in the 1920’s. During this time, Tampa had nearly 200 streetcars traveling on over 50 miles of streetcar tracks. Unfortunately, the streetcar service ended shortly after World War II and did not return to Tampa until 2002. Today, there are 2.7 miles of streetcar track. The Tampa Free Library is now being leased by the county from the city. 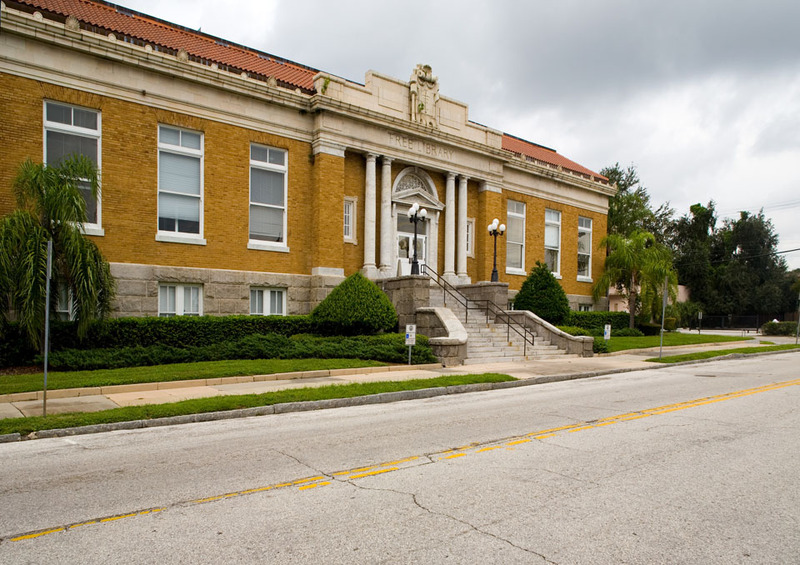 The building currently is being used as the administrative offices of the Hillsborough County Public Library System.